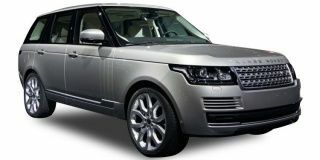 Land Rover Range Rover 4.4 Diesel LWB Autobiography is the mid diesel variant in the Range Rover lineup and is priced at Rs. 2.52 crore (ex-showroom, Delhi). This base variant comes with an engine putting out 336bhp@3500rpm and 740nm@1750-2250rpm of max power and max torque respectively. The gasoline motor comes mated to 8-Speed Automatic transmission which is quite a joy to use. Land Rover claims an average of 11.5 kmpl for this mid 4.4 Diesel LWB Autobiography variant. Share your experiences with Range Rover? The Range Rover gets even bigger on luxury for 2018. We drive the new P400e plug-in hybrid variant to see how much more pampering you can expect from the luxed out SUV from Solihull.